Dan appeared on Good Morning America today to discuss the fatal car wreck of a Colorado woman with host George Stephanopoulos and fellow legal analyst Nancy Grace. Monica Chavez, driving more than 100 miles per hour with her two kids, apparently had a seizure when she entered an intersection, went airborne and smashed into two cars in February 2011, killing a family of five. Prosecutors say Chavez should not have been driving because of another seizure-like episode she had in 2006, after which, doctors told her that she should not drive until cleared by a neurologist. 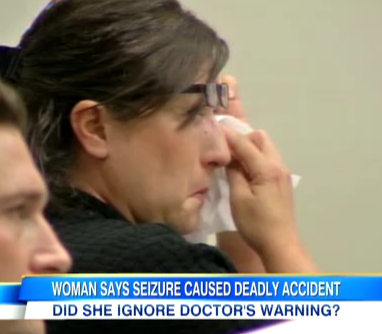 Jurors will begin deciding this morning whether she ignored this medical advice. 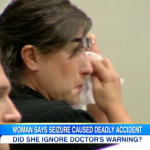 “Everyone agrees on the basic facts,” says Dan, continuing, “she was driving that car and she is the one who has behind the wheel when that family was killed… the question is should she be held criminally responsible.” The answer to that boils down to whether it was “negligent on her part not to see a specialist.” This “defined, specific question” will be left for the jury to resolve, and Dan believes her testimony will play the crucial role in their decision. Whether or not the jurors find her credible will help determine her fate, according to Dan. Nancy, however, believes that the full story must be taken into consideration – this is Chavez’s fifth seizure, and she did not go on anti-seizure medication after the second episode as recommended. Dan and Nancy disagree on her level of knowledge in her actions, but it’s up to the jury to decide now. Watch the full video here.